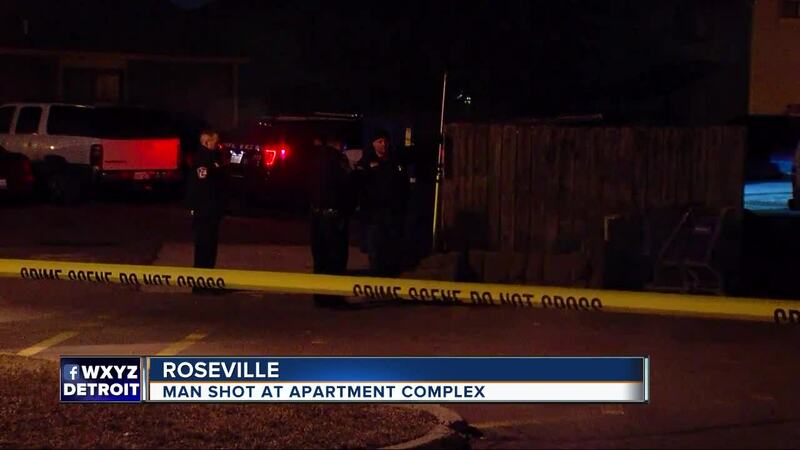 ROSEVILLE, Mich. (WXYZ) — Roseville police are investigating a shooting at an apartment complex overnight. 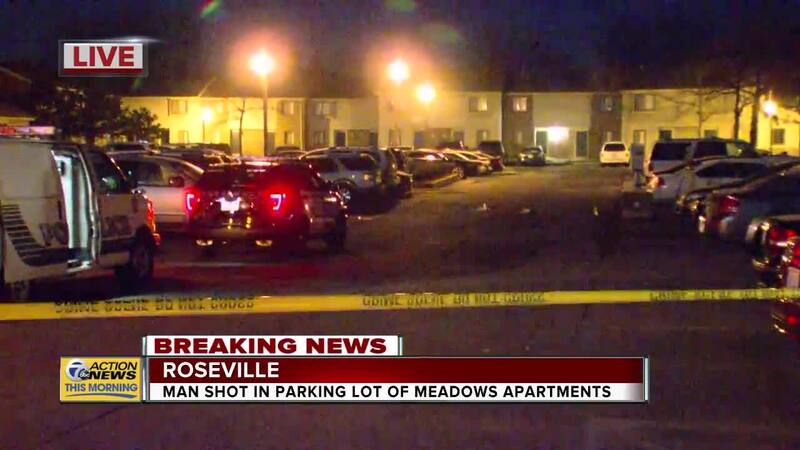 According to police, the shooting happened at the Meadows Apartments, north of 13 Mile near Little Mack and I-94. According to police, it happened around 2:30 a.m. on Wednesday morning, and officers were dispatched on a report of several gunshots and a person calling or help. When they arrived, they saw a 29-year-old Detroit man in the parking lot with gunshot wounds. That man was taken to an area hospital and is in serious condition. According to police, they have no suspect information at this time and it's unknown if a vehicle was involved, but there were reports of a dark-colored vehicle in the area at the time. It's not confirmed if this vehicle may have been involved.